Has to be Defender, being playing games since kid but if you ask for my favorite game it is Shadow of the Colossus. Yes, I support other charities like SER de Puerto Rico. My wife introduce me to Extra Life and since that first day i looked for information i felt in love with the program. I make challenges like sing certain songs on rockband or even shave my body for donations but most of the time i send to all my contact individually a personal message about my campaign. I use emails, facebook messenger, twitch streaming, etc. Being able to play video games with the kids I help. Being part of Extra Life United. Meeting Tori’s family, Dominic’s family, all the kids and all the friend I made. This year our Extra Life team and I won the “Gamer/Entity with greater impact in your community” award here in Puerto Rico. Thank you Roberto! 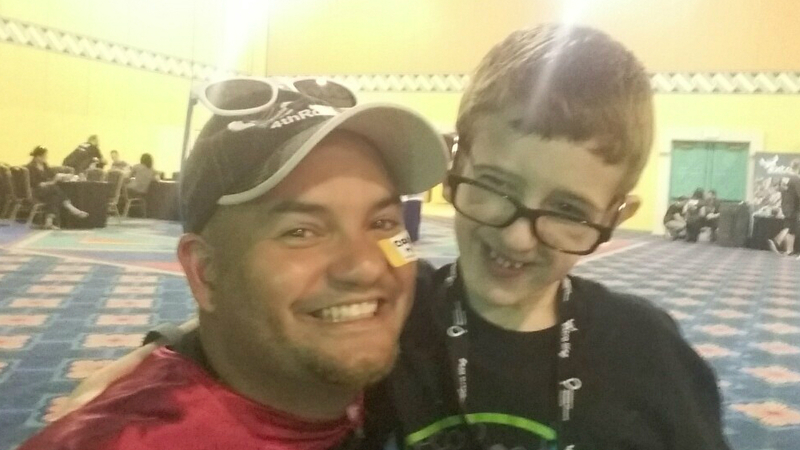 You can support Roberto and his endeavors with gaming for charity on Extra Life participant page.